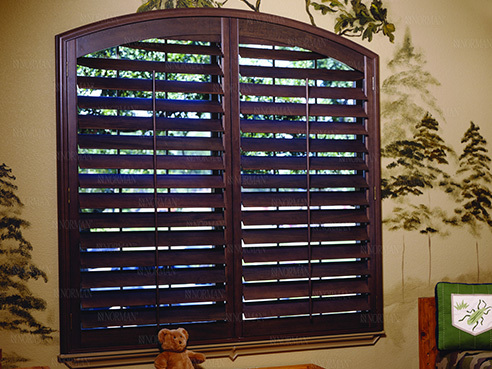 Capturing the natural beauty of real wood, these wood shutters are constructed from premium hardwood and feature the craft tradition of fine dovetail joinery combined with an innovative multiple-coat finish. Wood shutters offer a warm and inviting look to any decor. The shutter has a timeless designer appeal. They compliment virtually all decorating looks and styles and can be combined with other window treatments such as valances or custom drapery to make your window have a complete, finished look.